"We are decisive about clearing Afrin of terrorists in order to protect security along our borders. Turkey will go to any length … However, NATO countries are not giving enough support to Turkey in its fight against terror elements threatening its territorial integrity," Turkish Defense Minister, Nurettin Canikli said at the ministerial meeting of the Global Coalition Against the Daesh (banned in Russia) in Rome, as quoted by Anadolu news agency. Canikli emphasized that Turkey had been contributing to NATO alliance for over 60 years. He also stated that Ankara’s goal was to secure its borders from militants linked to the Kurdistan Workers' Party (PKK), designated as a terrorist organization in Turkey and several other countries. "I met with NATO Secretary General Jens Stoltenberg in Brussels," Nurettin Canikli posted on Twitter. On January 20, the Turkish Armed Forces started Operation Olive Branch against the Kurdish forces in Afrin, an area in northern Syria commanded by the US-backed Kurdish People's Protection Units (YPG), which are considered by Ankara to be affiliates of the PKK. The operation has been conducted jointly with the Free Syrian Army forces and against the US that turned from helping Syrian Kurds to backing Turkey against them. 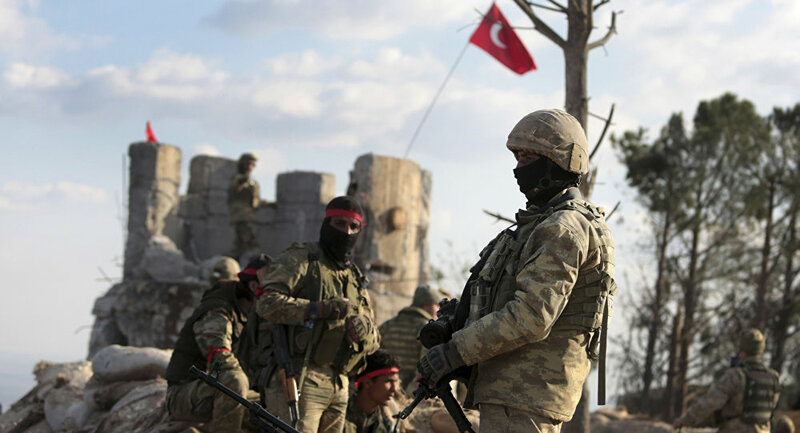 Previously, explaining its decision to start the operation in the region, Ankara stated that the motion was aimed at destroying terrorists on the country's border with Syria, referring to the Kurdish formations operating in the area. Damascus has firmly condemned the operation as an assault on Syria's sovereignty. Moscow, in its turn, has urged all the parties to exercise restraint and called for respect of Syria's territorial integrity.